Wherever you live, whether you’re on shore or inland, urban or rural, high-tide or high-rise, we’re uniting communities in the fight against single-use plastics. Join a community network across the UK that’s tackling single-use plastic from the beach, all the way back to the brands and businesses who create it. It starts here and its starts with us. Join the plastic free movement by signing-up for an individual action plan. As a council you have a huge role to play in Plastic Free Communities. You will probably have several Community Leads in your area and the council role is to support them where you can. How do you do this? Anyone and everyone can get involved to be the resistance our oceans need. It doesn’t matter who you are, how old you are or whether you live by the coast or not. There are contributions you can make that will make a difference. Everyone has a role to play! SAS beach cleans removed nearly 29,000 plastic bottles from our coastline in 2017. In the UK, we use 7 million disposable coffee cups every day. Food and drink-related plastic items now make up one in every five pieces of litter. Plastic straws are in the top 10 items polluting the ocean and harming marine life. 138 pieces of food and drink waste litter every 100 metres of beach. Plastic bags can kill marine wildlife by unintentional digestion or inhalation. In the UK, 2.5bn plastic cups are thrown away each year. Empty sachets are regularly found on SAS beach cleans. Q. Who can sign up to lead a community? Q. What does ‘Plastic Free’ mean? A. We do not expect your community to be totally plastic free. Our aim is to free where we live from single-use plastic: the avoidable stuff that’s everywhere. Things like plastic drinks bottles, disposable coffee cups, sachets, bathroom plastics, excessive food packaging, takeaway containers etc. These are the things that are having a huge impact on our environment and which we can make changes in our lives to eliminate. Take a look at our list of ‘The Offenders’ above for the kind of items we mean. It’s time to kick our single-use addiction. Q. How do I do it? A. There are Five Objectives which you will work towards to attain the Plastic Free Communities Accreditation. This forms the basis of what we hope will be long term change in your community. The first thing to do is to check them out in the Community Toolkit. If you’re happy to go ahead and lead your community, then register with us and start making your way through the toolkit. How you choose to tackle it is up to you, you know your community best and how to engage with it. Q. What support will I get from SAS? A. First of all you need to register with us so we know you are working on the campaign. Once you’ve registered you’ll receive a resource pack from us with all the information and material you need to be able to take action. There are guides to the five objectives and tips on how to reach them, advice on business and community engagement and also some great branding and materials to help you promote your campaign. A. This depends on the size of your community and also the number of people involved in working on the campaign locally. A small village can reach approved status in a matter of weeks. A town will take longer, depending on how many volunteers are involved. A city? Well, if you break it down into districts and work on them one at a time with other leads, it could be quicker than you think! So, there isn’t really an answer to this. There is no deadline from us. What we are aiming for is concrete, sustainable change in a community to reduce the impact of single-use plastic. That doesn’t happen overnight. Q. How do I define my community area? A. Objective 1 requires you to get your local council to commit to plastic-free initiatives. So in most areas, it makes sense to base your community area on the catchment of your local council, be that a community, parish or town council. If you’re in a city, breaking things down into districts, boroughs or wards can help. Linking with other leads you can tackle each one individually and then present your case to the overall council body. Keep things small. You will be successful quicker and be able to use that success to roll out, or link, to neighbouring areas. Q. How do I keep you updated? A. When you register with us we will send you reporting forms so you can keep track of your progress and send them in quarterly to let us know how you’re getting on. More guidance on this is given in the Community Lead Resource pack. Q. How can councils support the campaign locally? A. Objective One requires councils to support the Plastic Free Communities campaign in their area by resolving to support efforts locally. They all need to work to eliminate single use plastics from their premises and put a council member on the local Plastic Free Community Steering Committee. Councils can get more information on how else they can support and build on the campaign here. A. Have a chat! You may well have a link to your local council already but if not, find out which councillors are sympathetic to the cause and tell them about what you are doing. Invite them along to events and meetings. The council can be pivotal in bringing about the changes in infrastructure which may be needed and a huge ally. We feel bringing communities together is the most effective way to tackle single-use plastic, so open and regular communication will really help you. Q. How do I word the council motion? The council agrees to put a member on your steering committee. 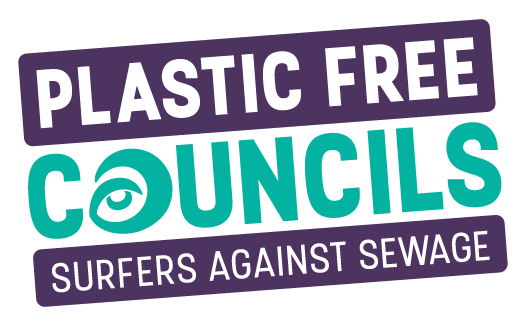 The council agrees to support all Plastic Free Communities initiatives in the area. Q. Do you have advice for approaching businesses? A. When you register with us you will receive a Community Lead Resource Pack with a Business Toolkit in it. This has lots of advice and tips for approaching businesses but it can also be left with businesses to help them start their Plastic Free journey. Our best advice is to pop in, say hello, explain what you’re doing and start building a relationship. Every business is different and will be able to take part in different ways. Enjoy meeting new people and opening up the campaign in your community. Q. What do they have to do and what do they get? A. 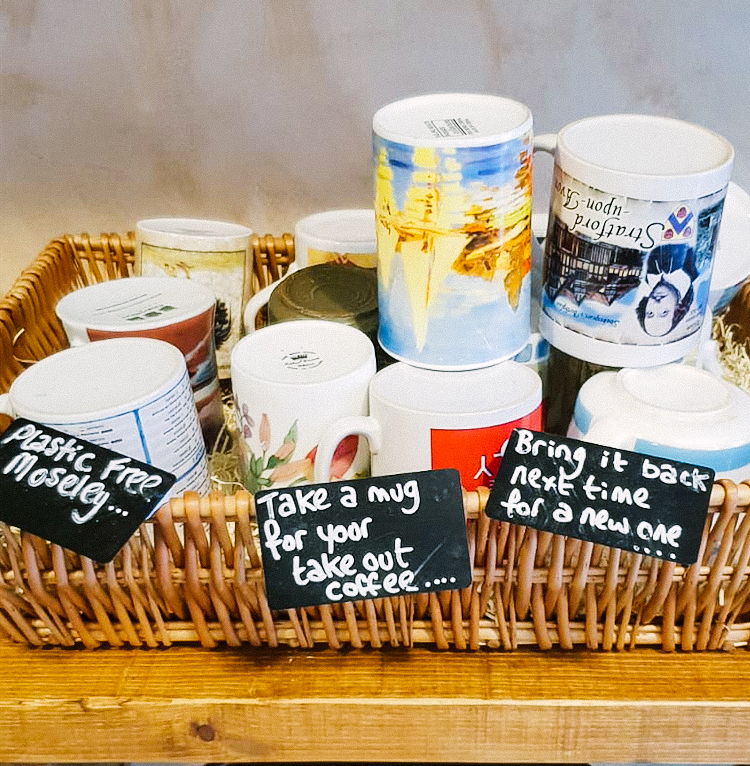 To achieve Plastic Free Communities Approved status, a business needs to remove or replace at least three single-use items and show a commitment to tackling any others in the future. Once this is in place, businesses get a Plastic Free Champion plaque and certificate to highlight their great work and tell shoppers. It’s a launch-pad to do more if they are able to, and plenty do. Q. Can businesses swap to eco-friendly alternatives? A. We are working to reduce the impact of single use, throwaway culture. So for us the first line of action has to be to reduce the amount of items we use in the first place. We are looking for businesses to swap to refill and reuse wherever possible. In some cases single-use items are unavoidable, and in that case businesses may want to look at sustainable alternatives. There are many on the market and information can be confusing. There is no simple swap solution either. Our advice is to get businesses to research well so they know what they’re buying, how it needs to be disposed of and why swapping to it is a better option. More advice is available in the Business Toolkit. A. Raising awareness and educating the next generation is crucial to bring about the culture change we need to see in order to free where we live from single-use. There are lots of ways schools can get involved, from linking into school themes and topics, to holding assemblies and looking at removing single-use items from the canteen or events. Check out our education section for more information on SAS workshops and programmes you can introduce to your school. Q. Is there advice on holding community clean-ups and beach cleans? Q. How do I get the wider community to support me? Q. Can I get funding from SAS for our local campaign? A. Plastic-Free Communities has been designed so that you shouldn’t need extra resources or funding to be able to achieve or retain Plastic Free status. We give you branding for your local campaign, resources and toolkits to help you on your journey and you have access to SAS literature for events. Part of Objective 4 can include fundraising for SAS, and that money would then help us to reach out to more communities, schools and groups: it cannot be ring-fenced for individual communities. A. Yes, you can, but it has to be clear you are not raising money on or behalf of Surfers Against Sewage or any of the work we carry out as a charity. You need to make it clear what the money is going towards in your town and you take full responsibility for the management and accountability of that money. Q. How can I use SAS branding? A. On registering, we’ll send you a comprehensive set of brand guidelines which explain how you can use your Plastic Free Communities logo. It’s aimed at helping you to raise awareness and make your campaign visible in your community. Suggested use is for things like social media accounts, event posters, email footers, letterheads etc. It’s a national campaign logo and will be mirrored by the branding on your community resources. Providing consistent messages and visuals increases the impact our campaign can have. We've achieved 'Plastic Free' accreditation. What next? First of all … CONGRATULATIONS! You are supporting a groundswell of community action which is standing up to the blight of single-use plastic in our oceans and on our beaches, rivers, towns and cities. What you’ve achieved is already making a difference to attitudes and how we buy and dispose of items. Thank you! We’ll send out your approved plaques and certificates for businesses and tell the world about the awesome work you are doing. To complete Objective 5 you need to set up a steering committee to take things forward and we need to see a plan of action. So your next steps will be determined by your local plan of action. Keep us updated and remember to apply for plaques and certificates for any new businesses that come on board. I’m not based in the UK – can my community take part? We are delighted that the Plastic Free Communities movement has attracted so much support and interest across the globe. We are a small charity with limited resources, and the phenomenal success of the campaign in the UK means that at this point we are not set up to support communities outside the UK. Please know that we are actively looking at this and hope to activate the programme in the future with a full set of resources. We will announce this on our channels as soon as it is live.